Order food delivery from Uncle Julio's in Bethesda, MD from Foodie Cab. Served with chips & salsa, fresh guacamole, sour cream, cheese, pico de gallo, Mexican rice and frijoles a la charra and fresh flour tortillas. 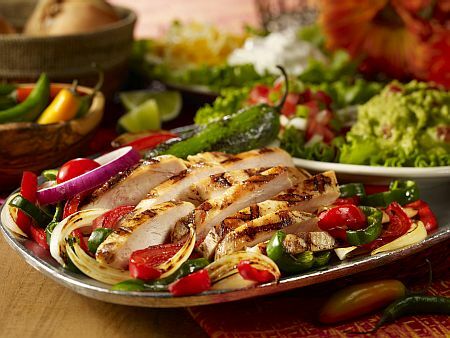 Mesquite grilled chicken breast served with Mexican butter. Served with fresh guacamole, sour cream, cheese, pico de gallo, Mexican rice, frijoles a la charra, sautéed peppers and onions with our homemade flour tortillas. 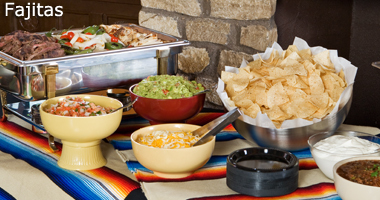 Served with chips & salsa, fresh guacamole and pico de gallo, Mexican rice and frijoles a la charra and fresh flour tortillas. Refried beans and a blend of cheeses. Fresh romaine lettuce, avocados, grape tomatoes, black beans, toasted corn, cheddar and Monterrey Jack in our homemade tortilla shell with three-pepper ranch on the side. Shrimp, scallops and tilapia marinated with lime and lemon juice, tomatoes, onions and cilantro. Four mesquite grilled jumbo shrimp stuffed with fresh minced habanero and queso fresco, wrapped in smoked bacon and topped with honey chipotle glaze. Sautéed pulled chicken, tomatoes, onions and Monterey Jack on flour tortillas with sour cream and fresh guacamole. Sautéed onions and Monterey Jack on flour tortillas with sour cream and fresh guacamole. Sautéed peppers, mushrooms, onions and Monterey Jack on flour tortillas with sour cream and fresh guacamole. With New Mexico red sauce or salsa carne. With salsa verde or creamy hatch chili sauce. Made in-house with fresh Haas avocados, onions and tomatoes. Spicy blend of cheeses, with beef fajita, Bacon and pico de gallo. Slow roasted chicken, vegetables, tortilla strips, diced fresh avocado, cilantro and queso fresco. Dressings available: Three Pepper Ranch, Citrus Vinaigrette, Ranch Soy Ginger, Honey Dijon Vinaigrette. Mixed field greens, mesquite grilled chicken, bacon, fresh avocado, roasted corn, tomatoes, black beans, queso fresco and tortilla strips with three pepper ranch on the side. Mixed field greens, fresh sliced avocado, jicama, grape tomatoes and soy ginger dressing on the side. Mixed field greens, mesquite grilled beef, bacon, fresh avocado, roasted corn, tomatoes, black beans, queso fresco and tortilla strips with three pepper ranch on the side. Mixed field greens, fresh avocado, roasted corn, tomatoes, black beans, queso fresco and tortilla strips with three pepper ranch on the side. Served with fresh guacamole, sour cream, cheese, pico de gallo, Mexican rice, frijoles a la charra, sautéed peppers and onions with our homemade flour tortillas. Mesquite grilled chicken breast with bacon and honey chipotle glaze. Served with fresh guacamole, sour cream, cheese, pico de gallo, Mexican rice, frijoles a la charra, sautéed peppers and onions with our homemade flour tortillas. Mesquite grilled chicken breast and tender cuts of Midwestern grain-fed skirt steak, hand-trimmed by our butcher. Served with Mexican butter. Mesquite grilled fresh vegetables including zucchini, yellow squash, Portobello mushrooms, sautéed peppers and onions. Served with black beans and cilantro rice. Tender cuts of grain-fed Midwest filet with our scratch made agave queso sauce on the side. Seared Gulf shrimp with house made mango habanero sauce. Pan seared Ahi Tuna served with house made soy ginger sauce. Spicy mesquite grilled jumbo Gulf shrimp, with mesquite grilled chicken and steak fajitas. Served with Mexican butter. Jumbo Gulf shrimp stuffed with Monterey Jack and fresh jalapeno, bacon wrapped and mesquite grilled, with mesquite grilled chicken and steak fajitas. Served with Mexican butter. Two stacked beef enchiladas, with mesquite grilled chicken and steak fajitas. Slow smoked pork ribs, with chicken and steak fajitas. Jumbo Gulf shrimp stuffed with Monterey Jack and fresh jalapeno, bacon wrapped and mesquite grilled, with mesquite grilled chicken fajitas. Served with Mexican butter. Jumbo Gulf shrimp stuffed with Monterey Jack and fresh jalapeno, bacon wrapped and mesquite grilled, with mesquite grilled beef fajitas. Served with Mexican butter. Spicy mesquite grilled jumbo Gulf shrimp, with mesquite grilled chicken fajitas. Served with Mexican butter. 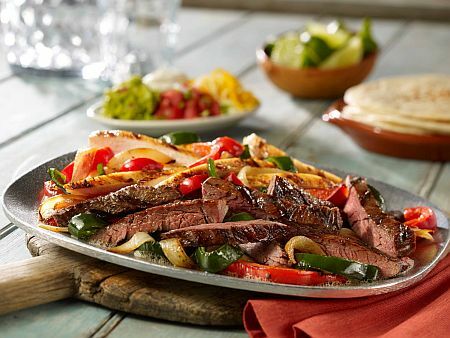 Spicy mesquite grilled jumbo Gulf shrimp, with mesquite grilled beef fajitas. Served with Mexican butter. Slow smoked pork ribs, with steak fajitas. Slow smoked pork ribs, with chicken fajitas. Chicken and steak fajitas, slow smoked pork ribs and bacon wrapped camarones. Served with fresh guacamole, sour cream, cheese, pico de gallo, Mexican rice, frijoles a la charra, sautéed peppers and onions with our homemade flour tortillas. Chicken fajitas, slow smoked pork ribs and bacon wrapped camarones. Served with fresh guacamole, sour cream, cheese, pico de gallo, Mexican rice, frijoles a la charra, sautéed peppers and onions with our homemade flour tortillas. Steak fajitas, slow smoked pork ribs and bacon wrapped camarones. Served with fresh guacamole, sour cream, cheese, pico de gallo, Mexican rice, frijoles a la charra, sautéed peppers and onions with our homemade flour tortillas. Six spicy mesquite grilled jumbo Gulf shrimp. Served with Mexican butter, homemade guacamole, pico de gallo, Mexican rice and frijoles a la charra. Mesquite grilled fresh salmon filet, honey chipotle glaze with corn an d black bean cilantro rice and pineapple pico de gallo. Mesquite grilled chicken breast with agave queso sauce, tortilla strips, hickory smoked bacon, cilantro rice and frijoles a la chara. Hand-cut marinated 21 day aged skirt steak. Served with homemade guacamole, pico de gallo, Mexican rice and frijoles a la charra. Smoked with a sweet and savory dry rub. Served with guacamole, pico de gallo, Mexican rice and frijoles a la charra. Served with New Mexico red sauce, creamy hatch chile sauce or salsa blanca. Served with your choice of sour cream sauce, hatch chili sauce, salsa verde or salsa blanca sauce. Ground beef in corn tortillas with New Mexico red sauce, salsa carne, or tequila sunrise sauce. Beef, pulled chicken or cheese & onion. 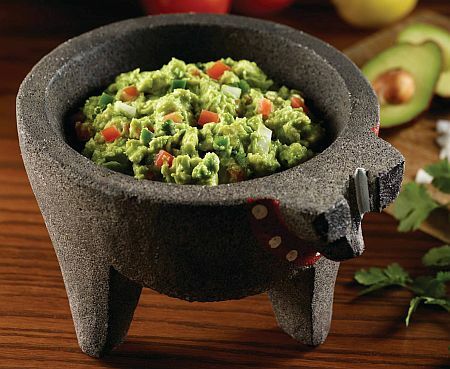 Choose pulled chicken or ground beef served with fresh guacamole and sour cream. Ground beef served with fresh guacamole and sour cream. Beef enchilada with agave queso sauce, chicken enchilada with creamy hatch chili sauce. one crispy taco with beef and one pork tamale with New Mexico red sauce. Cheese chile relleno, chicken enchilada with salsa verde and a pork tamale with salsa carne. Two egg battered poblano peppers stuffed with Monterey Jack cheese with ranchero sauce. Three pulled chicken or ground beef tacos. Three corn tortillas, pulled pork, spicy red Chile sauce, onions, cilantro with guacamole, pico de gallo, cilantro rice and black beans. Three corn tortillas, grilled tilapia, shredded cabbage, pico de gallo, avocado crema, cilantro rice and black beans. Three corn tortillas, spicy seared rare ahi tuna, mango-jicama slaw, mango habanero sauce, cilantro rice and black beans. Three corn tortillas, seared gulf shrimp, pineapple, mango-jicama slaw, mango habanero sauce, cilantro rice and black beans. Chicken tortilla soup or soup of the day and two beef or chicken taco al carbon with guacamole and pico de gallo. Served with rice and frijoles a la charra. With rice and frijoles a la charra. Two handmade corn tortillas with seared shrimmp, pneapple, mango jicama slaw and drizzled with mango habanero sauce. Two corn tortillas, pork, carnita sauce, onions and cilantro, guacamole, pico de gallo, cil,antra rice and spicy black beans. Two corn tortillas, grilled tilapia, shredded cabbage, carrots, pico de gallo, spicy avocado cream with cilantro rice and spicy black beans. Served with fresh guacamole, sour cream, cheese, pico de gallo, Mexican rice, frijoles a la charra and fresh flour tortillas. Spicy mesquite grilled shrimp served fajita style. With fresh guacamole, pico de gallo, Mexican rice, frijoles a la charra and fresh flour tortillas. With fresh fruit and sweet cream. Sautéed fresh peppers, mushrooms and onions. Single beef or chicken taco with lettuce, tomato and cheese. Served with rice and refried beans on the side. Four individual nachos with your choice of cheese or cheese and beans. Served with a fruit cup. Single enchilada topped with beef sauce. Served with rice and refried beans. Your choice of mesquite grilled chicken or beef. Served with rice, refried beans, kernel corn and fresh flour tortillas. Ball of vanilla ice cream rolled in toasted coconut and pecans served with house-made caramel sauce and whipped cream. Chips, salsa, guacamole & chile con queso. 24-hour notice appreciated. (12) pork or chicken tamales. Served with chips & salsa, fresh guacamole and pico de gallo, sour cream, cheese, Mexican rice and frijoles a la charra and fresh flour tortillas. Chicken fajitas, pork ribs, bacon wrapped camarones brochette, served with guacamole and pico de gallo, Mexican rice, frijoles a la charra and flour tortillas. Beef fajitas, pork ribs, bacon wrapped camarones brochette, served with guacamole and pico de gallo, Mexican rice, frijoles a la charra and flour tortillas. Beef and chicken fajitas, pork ribs, bacon wrapped camarones brochette, served with guacamole and pico de gallo, Mexican rice, frijoles a la charra and flour tortillas. With chips & salsa, Mexican rice and frijoles a la charra. Served with meat sauce. This is not a vegetarian dish. With chips & salsa, Mexican rice and frijoles a la charra. Served with chips & salsa, Mexican rice and frijoles a la charra.